Food is universal. 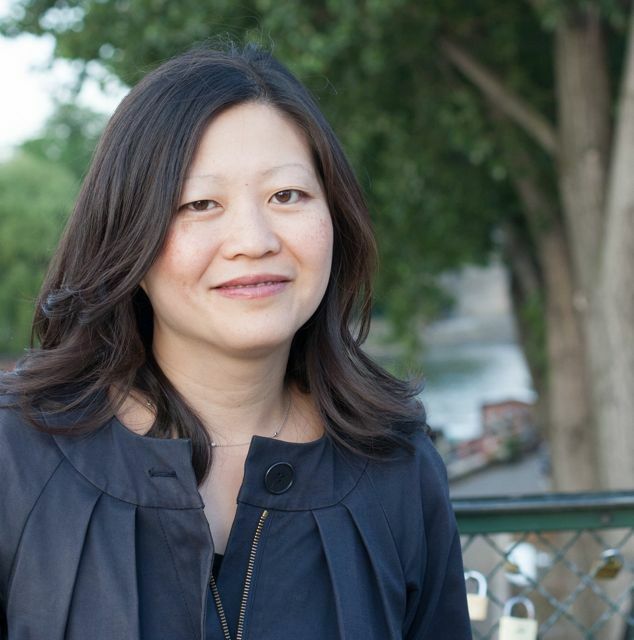 And whether in Beijing or in Paris, food writer and book author Ann Mah shows us that food can forge connections and food can be a lifeline. Ann’s debut novel Kitchen Chinese was loosely based on her time in Beijing. 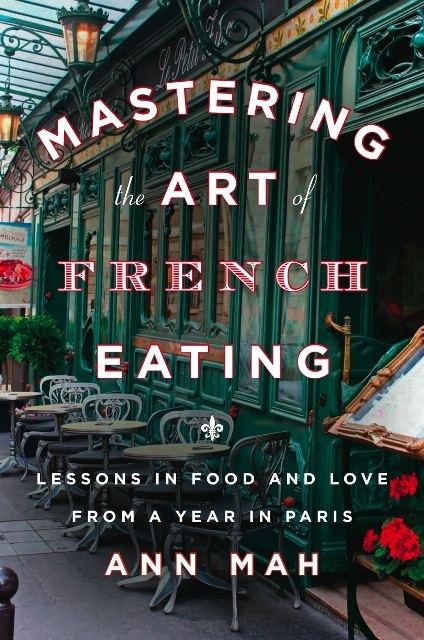 Now, her new memoir Mastering the Art of French Eating: Lessons in Food and Love From a Year in Paris (Pamela Dorman Books, September 2013) reflects her experiences living in the city of her (and many a Francophile’s) dreams, Paris. The wife of a U.S. diplomat, Ann’s dream comes true when her husband lands a plum posting in Paris. Unfortunately, her dream is put on hold when her husband is sent to Iraq for a year and she has to fend for herself in a new country with nary a support system in place. Living in a foreign country is never easy. When Ann lived in China, she found herself under scrutiny because she looked like everyone else but she identified with being American. In France, she grapples with the language, deals with the awkwardness of adapting to local customs, faces the challenge of meeting new people, and above all she nurses her longing for her husband. Not one to wallow in her loneliness (at least not for too long! ), Ann devises a plan to distract herself and so begins her investigation into the history and origins behind French favorites like steak frites, cassoulet and boeuf Bourgignon. Through her travels to regions all over the country–Brittany, Alsace, Savoie, etc.–Ann slowly overcomes these hurdles as she meets fascinating people and learns to make herself at home in her adopted country. Just like its title, Ann’s book is chock full of lessons about food and love. Plus, the stories she regales us with—whether she’s making soupe au pistou with a group of gossipy, middle-aged women or learning the process behind the true cheese used in traditional French fondue (hint: it’s not Gruyère! )—are a delight for both the avid, and the armchair, traveler. I’ve asked Ann to share some thoughts about her lovely book and her publisher Viking/Penguin is graciously giving away a copy. All you have to do is leave a comment about a favorite regional dish you’ve had while traveling (in another country, in another state, doesn’t matter!) and I’ll randomly pick a winner! Pat: Your feelings of being apart from your husband really resonated with me and this beautiful book came about because of that separation. Loneliness often pushes us to do things we wouldn’t otherwise think of doing if we were in a comfortable place. Do you think it would have happened if he hadn’t gone to Iraq? If you had a choice, would you do it all over again? Ann: This book grew out of the year I spent alone in Paris and I don’t think it would have happened if my husband hadn’t gone to Iraq. So, yes, there was a major silver lining to the experience. That being said, as much as I loved writing and researching this book, I wouldn’t choose to be separated from my husband again, especially now that we have a baby daughter. Pat: You lived in Beijing and then in Paris. Would you say there were similarities in your experiences in the two countries although they are wildly different? Ann: I think there were more similarities than differences — I loved exploring the regional cuisines of both places — and I noticed that both are quite fond of tripe! In both China and France, I was very grateful to be able to speak the language. Pat: History and culture are clearly important to you as is evidenced in your book. Each dish in each chapter is painstakingly researched. How did you go about it? How did you find all your subjects to talk to and interview? Ann: My favorite thing about traveling in France is discovering the connection between place, culture, history and food. I love the way a recipe can grow from the land and be cooked for centuries. I was able to connect with local chefs, home cooks, bean farmers (and more!) via friends and acquaintances — and also via my secret weapon, the local tourist office. French people are very proud of their region (justifiably so!) and eager to share what makes it special. Pat: You speak Mandarin and then you picked up French quite quickly before you headed to Paris. What was it like learning a new language as an adult? Did knowing the language help with adapting to the local culture and making friends? Ann: I always wanted to speak French so studying it was a labor of love. I think that’s half the battle in learning to speak a new language. My ability to speak French was invaluable in meeting people and discovering the local cuisine, especially in rural France where very few people speak English. Pat: You write about all the different dishes with equal passion (even andouillette which you professed not to like). Did you have a favorite? Ann: I love all the dishes in the book (even andouillette, which I love in theory, if not in taste). My favorite dishes in the book are the ones that were made for me by home cooks — crêpes in Brittany, soupe au Pistou in Provence, and choucroute garnie in Alsace. Granny’s version is always the best, of course! Pat: What’s it like to be a diplomat’s wife … really? Ann: I don’t know any other type of marriage, but I suspect being a diplomat’s wife is like being anyone’s spouse — there are ups and downs and lots of compromise. And the added bonus: lots of adventure — and an intimate familiarity with moving boxes and packing tape! Don’t forget to leave a comment about a favorite regional dish you had while traveling for a chance to win a copy of Mastering the Art of French Eating! Last day to enter: Wednesday, November 6, 2013. Disclaimer: I was given a free copy of Ann’s book to review but I am writing about it because I truly love it! I do apologize for the lack of blog posts but things have been busy around here. I’ve started a new gig with Allrecipes.com and as my husband keeps teasing me, I’m about to give birth to two babies! Yes, I am expecting. The real baby is due in February 2010, and of course the book (with a much longer gestation period) officially launches today! The Asian Grandmothers Cookbook is available at your local bookseller and through Amazon.com. When: Saturday, October 17th, 10 a.m.
Just show up for samples and recipes! When: Sunday, October 18th, 4-6 p.m. When: Tuesday, October 20, 6:30 p.m. I just love the black and white photos on the cover! Grandmothers Nellie Wong (center) and the late Munni Khursheed Ashraf (right) are featured in the book. A couple of days ago, an unsuspecting me found a media mail package sitting on my front doorstep. Hmm … I wasn’t expecting any new books nor had I been contacted by any PR people wanting to send me something fresh-off-the-press. What could it be? When I opened the package, I found two galley copies of The Asian Grandmothers Cookbook nestled neatly within. (A galley copy is an advanced proof of a book that is usually sent to reviewers). I jumped up and down till I was silly. Then I had to sit down. Once I recovered, I turned the bound book over and over in my hands to make sure it was tangible. Yes, it was real! The book has a soft cover and the interior photos are in black and white for now but there it was–the cumulation of over two years of hard work. And most swoon-worthy of all, my name is on the cover! Once the tingles stopped, what did I do? I cooked from it! As grandma always says, please share! Last week, as I tenderly bundled my baby up–all 300-some pages of it–and pushed it gently into a USPS Priority Mail envelope, I was overcome by a mix of emotions. I felt like weeping with both joy and sadness: joy and relief that these pages, my final edits, marked the end of a long and arduous process; and sadness and longing because I was almost at the end of this amazing journey of discovery, learning and sharing. It’s not the end, however. Far from it, in fact. I hope to grow this blog into a forum for us to share family recipes, ask questions, give each other tips, and keep traditional Asian recipes alive. Another bit of good news is that I’ll have more time to post stories as well as devote to other projects. I admit, my blog posts have slowed down to an embarrassing trickle 😦 and I do apologize. My blog isn’t the only project that has languished while I’ve been working on my cookboook manuscript. It’s been an amazing opportunity but I haven’t been able to pitch and write many stories either. On the other hand, word spread about my project and I was interviewed for a few articles including this Pacific Northwest Magazine article last fall, Eating the Asian Way, by Matthew Amster-Burton. We discussed oxtails (yum!) and how the traditional Asian diet may be the answer to a sustainable yet omnivorous lifestyle. Matthew also gives his adaptation of nikujaga, a dish that will be featured in The Asian Grandmothers Cookbook. Jennifer Bagalawis-Simes and I also chatted about sustainable seafood and the Asian American community for her story “Sustainable Seafood Consumption: Will Asian Americans take the bait? ” published in the latest issue of Hyphen Magazine. Hyphen is a hip Asian American publication that explores culture, the arts and politics amidst the modern multicultural world we live in. And last but not least, find out more about cooking whole fish in my NPR Kitchen Window story entitled Taking on the Whole Fish. There’s a tasty Korean roasted fish recipe on the Web site as well. I hope you’ll enjoy reading some of these stories and I’ll be back with more soon. As grandma always says, please share ! The Well Fed Network has revealed their Top 5 nominations in the 2007 Food Blog Awards. The polls are now open and will accept votes up until Friday, December 14th, 11:59 pm EST. P.S. My friend Jess Thomson’s blog Hogwash is in the running for Best New Food Blog, and two other local Seattle bloggers are up for awards too–Shauna James, a real sweetheart whom I just met, is up for Food Blog of the Year for Gluten-Free Girl, and Orangette is nominated for Best Food Blog Post. Yay! I’ve done it, I’ve started a blog! Thanks to my cook book deal with Sasquatch Books titled–what else?–The Asian Grandmother’s Cookbook, I’ve finally gotten off my duff and done it. Who would have thought that securing my first book deal would seem like a fairy tale? Honestly, I truly felt like Snow White (or insert fairy tale princess of choice), only instead of Prince Charming, I met the editor I was destined to work with. I was interviewing said editor for the NW Asian Weekly, which incidentally is the publication that gave me my first break in Seattle, about his new promotion to publisher. We got started talking about eating, food and cook books (like most conversations I get into) and he let slip that he’s always wanted to publish an Asian grandmothers cookbook. As a writer with a keen interest in how food, history, and culture intersect, it was a dream assignment come true! I offered to send him a proposal, I did, he loved it and the rest, as they say is history. Now I have a cook book deal … sweet :).